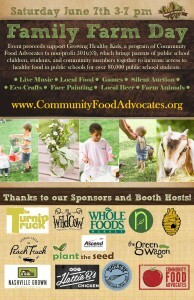 Help support Community Food Advocates by attending the Family Farm Day. “Family Farm Day is a farm-to-table experience for the whole family featuring local food, educational activities, crafts, live music and more. 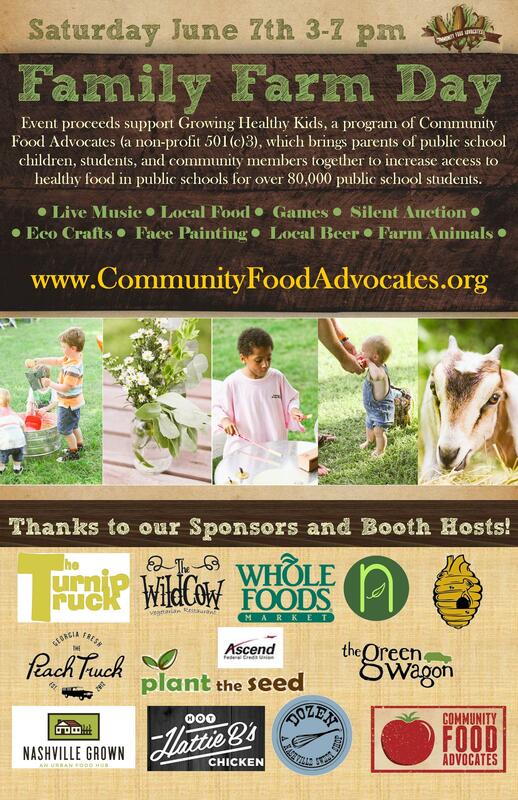 Event proceeds support Growing Healthy Kids, a program of Community Food Advocates, increasing access to healthy food in public schools.